The Sydney Opera House is an iconic global landmark, immediately recognisable by most of us. Finished in 1973, it’s considered by many architectural experts to be the greatest building in the world – not only for its raw beauty, but also because of the way in which it overcame a colossal engineering impasse with apparently unfeasible architecture. And one fact, of which many people are unaware, is that the humble tile played an enormous role in the momentous journey to create this distinctive cathedral of music. When the people of Sydney clamoured for a new Opera House in the late 1960s, the New South Wales government responded by commissioning a design competition which invited entries from all over the world. Over 200 entries were received from 32 countries, and the assessment committee eventually selected the design of Denmark’s Jørn Utzon as the winner. Utzon’s draft portrayed a series of parabolic structures to represent the billowed sails of a sailing ship. This design beautifully complemented Sydney’s rich maritime traditions and was a significant criteria in its ultimate selection. However, there was one major problem with the design that the committee appeared to overlook – although gorgeous, Utzon’s parabolic shapes simply did not work! From an engineering standpoint, they could not bear the enormous loads that would result from attempting to encase the vast performance spaces that were desired. After countless sleepless nights, Utzon’s engineer, Ove Arup, eventually overcame this challenge by transforming the shape of each sail from a parabola into segments of a sphere. Thus the design was transformed into a series of spherical segments, with each segment shell accommodating the respective auditoria, stages, and main foyer. The spherical shells were quite capable of supporting the huge loads, and the height of each was proportional to the floor area of each particular space. But the reason the opera house is of interest to us here at Tile Devil is because the exterior is covered with over one million ceramic tiles! Utzon had been inspired by the mosques he had seen in the Middle East and North African deserts, which shimmered brilliantly through the swirling dusts and sands. He wanted the sails of his opera house to similarly sparkle. To achieve this minor miracle, he turned to exactly the same sources that worked for the mosques – ceramic tiles! Like all tiles, the tiles on the opera house - which have come to be known as the “Sydney Tile’ - are made of fired clay. For such an enormous construction, the tiles are not particularly large – around 120 mm square. They’re laid out not as squares, but rather as diamond shapes, and although, from a distance, the opera house appears to be white, there are actually two tile colours and textures on display – glossy white and matt cream. The carefully selected combination of these two colours and finishes ensures that the opera house catches all available sunlight and reflects it across the harbour, without excessive glare, every day from dawn to dusk. This effect is further accentuated by the subtle chevron pattern fashioned by the deliberate tile arrangement. The Sydney Opera House is rightly acclaimed as one of the global iconic landmark buildings. Raw engineering inspiration allowed the design team to bring a visionary concept into existence in the face of almost impossible challenges. There’s no construction in the world that flaunts a more impressive roof. It spectacularly achieves Utzon’s aspiration to catch and reflect the sunlight and changing skylines across the Sydney harbour at all hours of the day. Doyens are unanimous in agreement that it’s his inspired use of tiles that accentuates and draws attention to the spectacular roof. Without the tiles, the Opera House would simply be nowhere near as distinctive or impressive. So once again, the unassuming tile bestows magnificence and grandeur on a building. 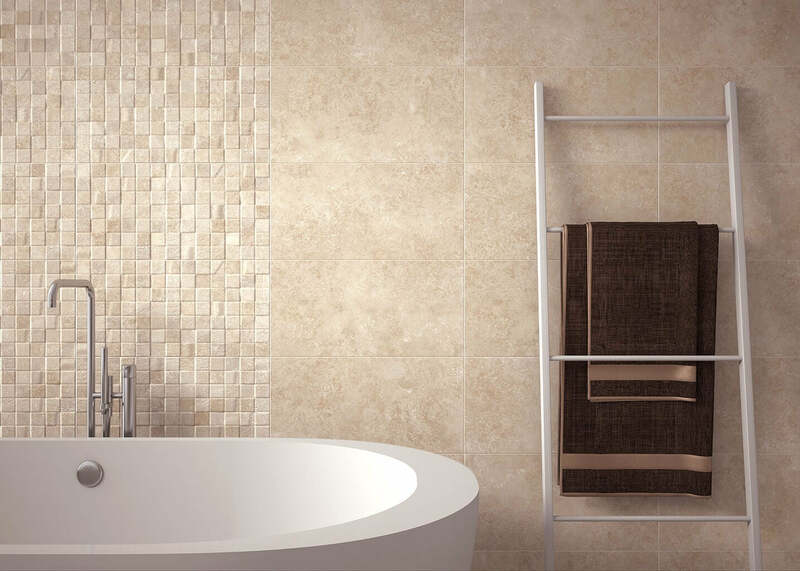 Why not do the same yourself and install some beautiful tiles in your home? The Tile Monk lives a simple life devoted completely to tile worship. He meditates on tiles, about tiles. He no longer lays tiles; that’s for his younger apprentices. You cannot follow him on Twitter or Facebook, as his time on this earth is dedicated solely to the contemplation of tiles, and occasional blogposts.